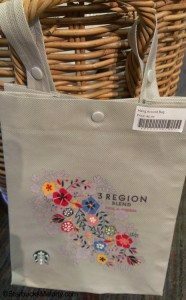 I dropped by the Starbucks Coffee Gear Store today (August 2, 2013) and just fell in love with these adorable small shopper, Three Region Blend-designed bags. I love the Three Region Blend artwork. It’s very pretty. The coffee bag’s design went through a major overhaul, and so the current Three Region Blend design is new for 2013. Also at the Coffee Gear Store, was a little larger version of the same bag, with a white background, not gray. Just as a reminder, the Starbucks Coffee Gear is open to the public. You do not need to be a Starbucks employee (Starbucks calls their employees “Partners”) to go shopping at this store. 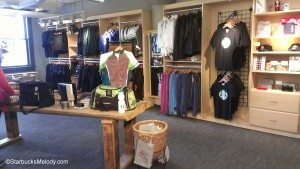 It’s open Monday through Friday, normal business hours, and is located on the eighth floor of the Starbucks headquarters, at 2401 Utah Avenue South. The Starbucks headquarters has its front doors along First Avenue South, and you want to go inside and take the elevators up to the eighth floor. Off to your right is a small store, open to the public. 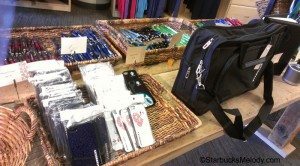 Most of the merchandise at the Coffee Gear Store is exclusive to that store. For example, it’s the only place where you can buy a Starbucks cycling jersey. There are child’s sized green aprons, a variety of keychains, t-shirts, pens, books, and several great tote bags, and much more. 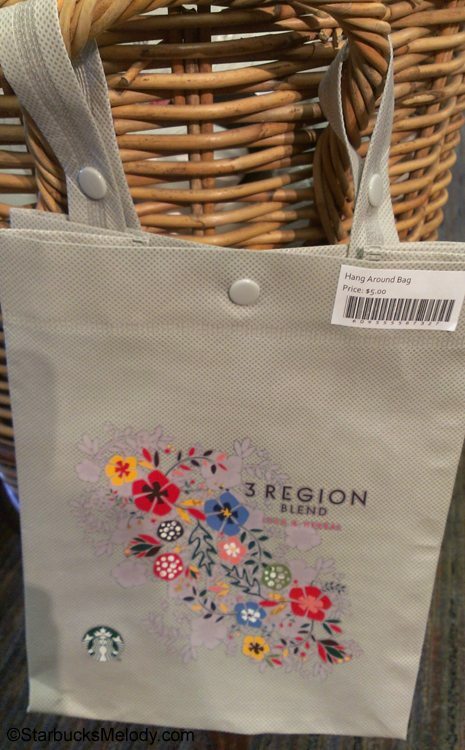 The Three Region Blend inspired merchandise is new, as I already mentioned. I’ll just leave you drooling over my new little tote bag. 😉 You can get more of sense of this store’s special merchandise by scrolling through some of the older Coffee Gear Store articles. 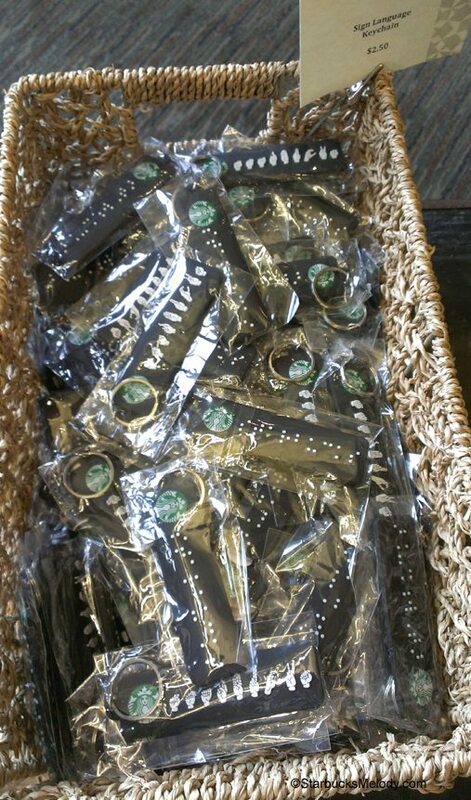 In the news: Starbucks Partners With Google to Bring Faster WiFi to Over 7000 Stores. 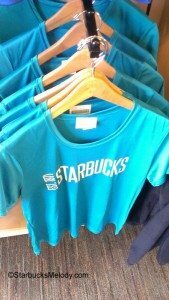 St. Patrick’s Day Starbucks T-Shirt! 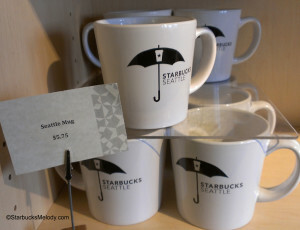 What’s new at the Starbucks Coffee Gear Store: Anniversary Siren Coasters, Mouse pads and more! 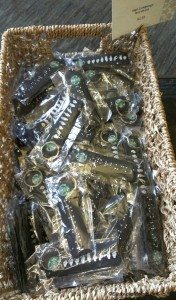 Starbucks Coffee Gear store: March update and a giveaway! 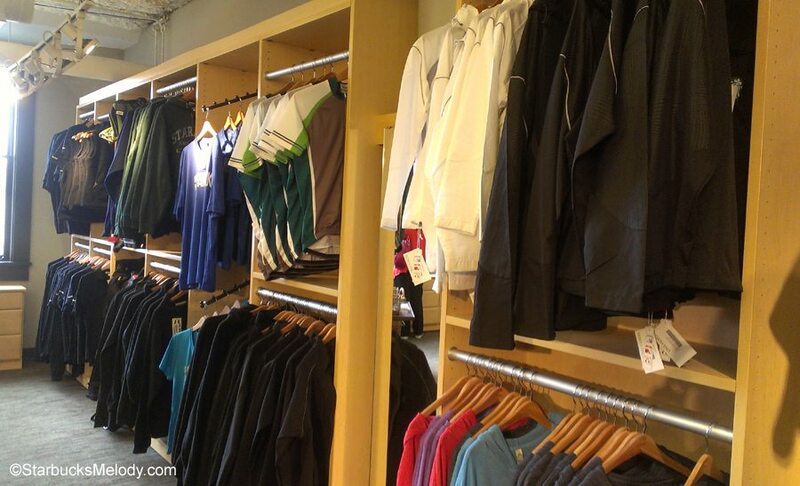 Always so cool to have this virtual tour of things in the gear store. I would LOVE to be there someday! Thanks Melody, as usual! Agree Denise R! I still do not get it that there are not options for customers outside of Seattle to get these items. Would seem it would be a profitable move for SB. 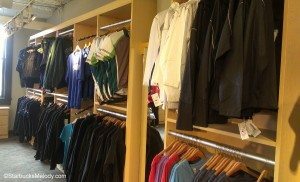 @Purple1 – I think this store would love to offer at least a few of these items online. It would be profitable for them, as you say. I genuinely don’t know why they haven’t done that – if I had to make a wild guess, I would say that Starbucks, as a corporation, doesn’t want a second Starbucks entity competing with StarbucksStore.com. By the way, every time I write one of these articles, I confuse new readers. (Actually, with the emails I get, lots of people have questions about Starbucks products and beverages). 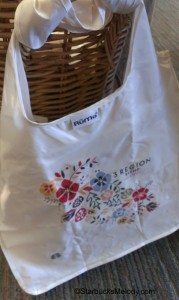 One reader has already written to me that she went to her neighborhood Starbucks in Alabama looking for the 3 Region Bag, and was disappointed in not finding it. I feel bad she went to those lengths – I might have to mail her one! I wonder if bags don’t do well in stores. I think they have been priced affordably. I can’t wait until I get to visit the store! You got me all excited at all the cool and pretty stuff there is. 🙂 I better bring an extra duffel to fit all my stuff. I’m digging the siren mug. I’ve never been to Seattle, but the Starbucks Gear Store would have to be on my “visit” list if I’m ever there. @mahoro – I hope you get to visit someday! 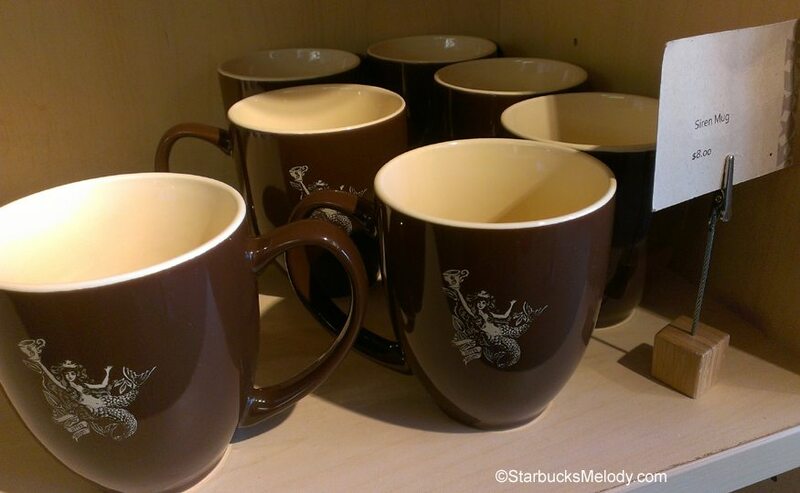 It’s a Starbucks “must do” for Starbucks fans! I am very interested in purchasing a few of the Starbucks cycling jerseys. Can you please provide information on how I can purchase them?